Regular and restful sleep is one of the cornerstones of good health. A good night’s sleep is more than restorative and refreshing. It’s as necessary as food and water for basic survival. Persistent sleep deficit can have adverse and debilitating effects on health. Chronic sleep loss can weaken your immune system, impair cognitive function and diminish physical performance. Sleep loss can interfere with hormone production and neurotransmitter release, which can result in psychological damage, and can negatively affect mood, appetite and behavior. 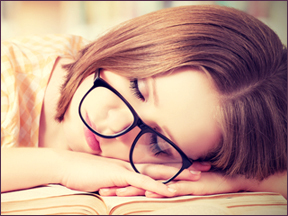 Many of us suffer from chronic or partial sleep deprivation, as sleep is one of the things we often scrimp on while going about our sometimes overly busy and stressful lives. While we rationalize that we can somehow catch up on missed hours of sleep, scientists say that’s a fallacy. Once the opportunity to get a good night’s sleep is gone, the sleep debt is difficult if not impossible to repay. Over time, this may result in increasingly hampered bodily function and slowed ability to concentrate. An occasional restless night is normal and almost unavoidable and may result in a frustrating and uncomfortable following day. The cumulative effect of consecutive nights of poor sleep or chronic insomnia can leave you feeling miserable and moody, unable to focus and perform and can increase your risk of accidental injury. It can also put you at risk for developing serious medical conditions including obesity, diabetes and heart disease. Create a relaxing sanctuary for sleeping and appropriate bedroom activities only. Establish a calming bedtime routine to help you unwind before bed. Keep your sleep hours consistent seven days a week. Maintain a comfortable, quiet and tranquil bedroom atmosphere. Keep the temperature at an optimal 60° – 68°. Dim the lights to encourage the release of sleep hormones and induce the body to settle down in preparation for rest. Turn off or shut down electronics at least an hour before bed. Artificial light exposure disrupts the body’s natural circadian rhythm and reduces the release of the brain’s sleep regulating chemicals. 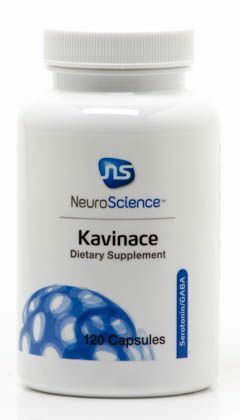 Kavinace® by NeuroScience – As our most popular sleep support supplement, Kavinace® reduces symptoms of insomnia and anxiety and promotes healthy levels of GABA to calm the mind and body. Cortisol Manager™ by Integrative Therapeutics – Top selling Cortisol Manager™ contains standardized proprietary blends that support all day stress reduction and the normal ability to fall asleep. This natural, non-habit forming formula supports restorative sleep without morning grogginess. Guna-Sleep by Guna Biotherapeutics – Customer favorite Guna-Sleep is a homeopathic formula designed for the temporary relief of sleep difficulties. This product addresses symptoms such as difficulty falling asleep, frequent night wakenings or restless, poor quality sleep. PheniTropic™ by Biotics Research – Another 5 star rated favorite product, PheniTropic™ provides natural support for stress and anxiety relief to aid and encourage restful sleep. Tranquility, Q. by Quantum Nutrition Labs – As a nutraceutical sleep formula, Tranquility promotes restful sleep, overall relaxation and calm mood, enabling you to awake refreshed and ready to greet the day. This entry was posted in Home and tagged Cortisol Manager by Integrative Therapeutics, Guna-Sleep by Guna Biotherapeutics, Kavinace® Kavinace® by NeuroScience, PheniTropic™ by Biotics Research, Professional Supplement Center, Q. by Quantum Nutrition Labs, Sleep Support, Tranquility, Vitamins and supplements, www.professionalsupplementcenter.com. Bookmark the permalink.